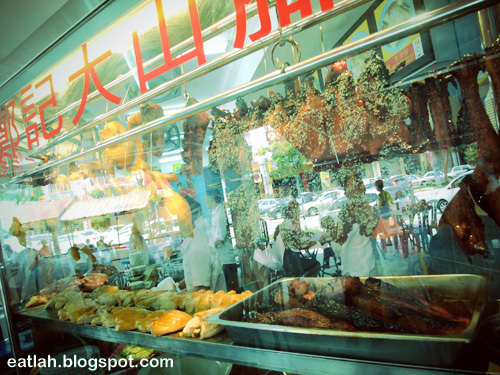 Tim Kee Chicken Rice @ Sri Petaling, KL | where and what to eat lah? The famous Tim Kee Chicken Rice at Taman Connaught, Cheras, is now open in Sri Petaling. 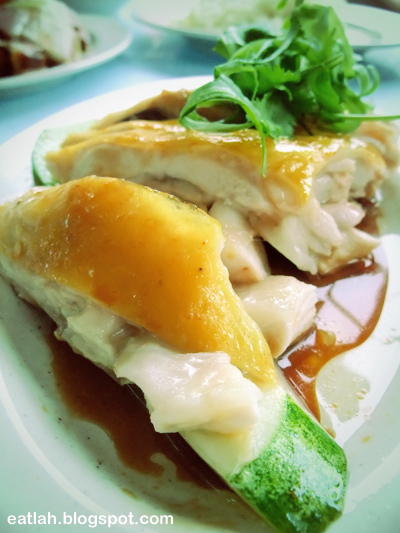 Rated as one of the Top 10 Best Chicken Rice Award and sells close to 200 chickens daily. 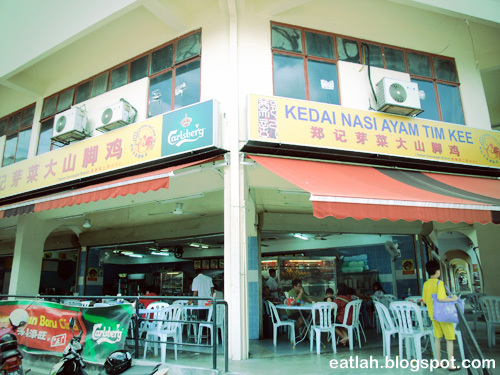 Tim Kee is well known for their Bukit Mertajam and Kampung steamed white chickens. Aside from that, you'll have other choices like the roast chicken, honey BBQ sesame chicken, char siew (bbq pork) and siew yoke (roast pork belly). The oil rice was fragrant and fluffy yummy. 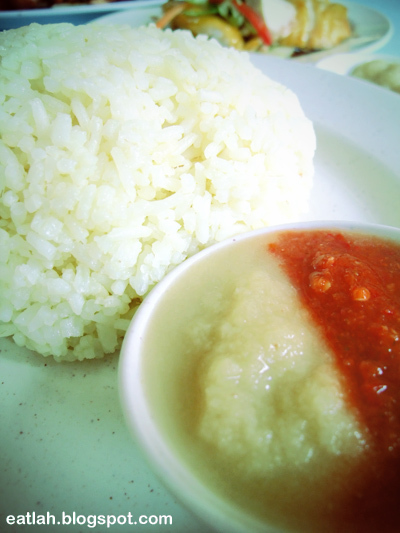 To many, the chili and ginger sauces are just as important as the chicken rice itself. It certainly did not disappoint, especially the ginger sauce, it was thick with an extremely smooth texture. 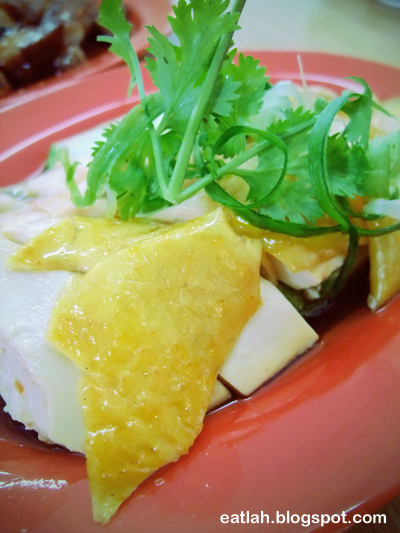 Steamed white chicken from Bukit Mertajam (RM 4), it was surprisingly tasty and lean. I thought it was Kampung chicken at first, it was filled with chicken taste even though it wasn't as tender and juicy (oily) as the normal white chicken. The texture was just nice, not overly tough either. 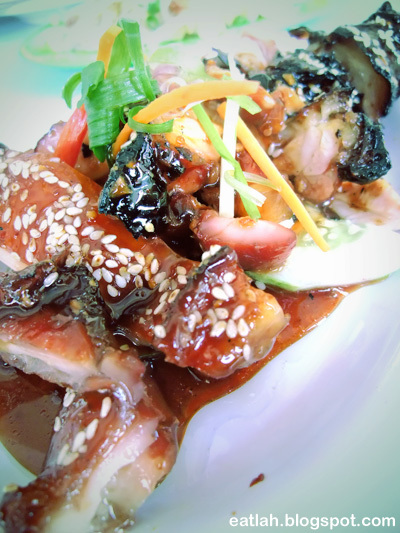 Honey BBQ sesame chicken (RM 7.50), a whole boneless chicken leg glazed with sweet honey sauce and barbecued till perfection. It was succulent, juicy and sweet. 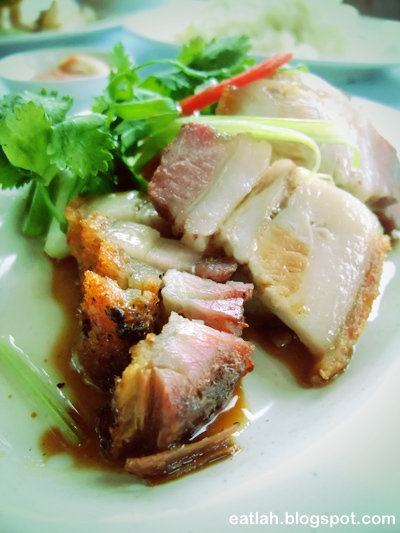 Siew yoke (roast pork belly) (RM 4), the crispy crunchy skin crackles as you take the first bite only to reveal the mouthwatering fat that sits right below. It was good and the portions were generous. Roast chicken with char siew (bbq pork) (RM 4), it wasn't fantastic at all. 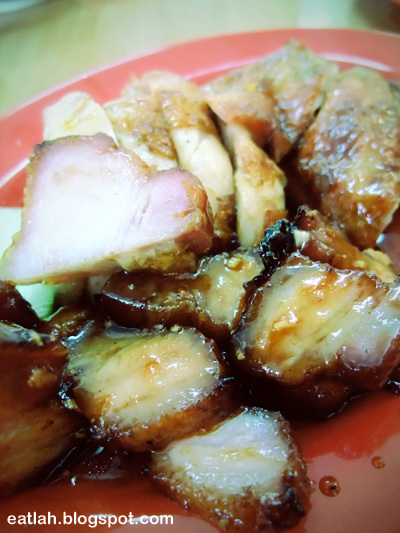 The char siew was normal, no where near compared to any of the top char siew sellers around. The roast chicken was boring and the skin wasn't crispy. I think I'll just settle for their steamed white chicken instead. Kampung chicken breast (RM 5), just like any young people, I never really like Kampung chicken before, tough to chew, hard and dry. However, I was pleasantly surprised with Tim Kee's Kampung chicken, it turned out to be decently tender and chickenly tasty. I begin to like Kampung chicken more and more each day, could this be the sign of aging? 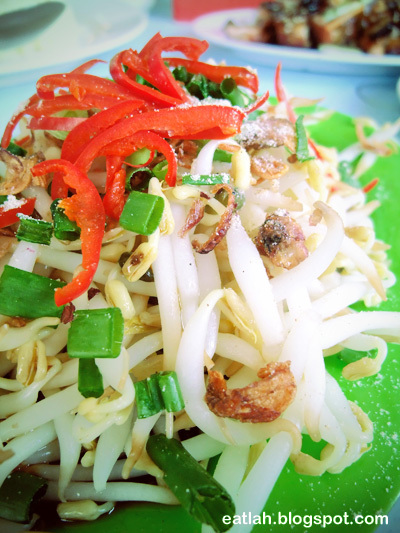 Bean sprout from Ipoh (RM 4), typical fat juicy and crunchy bean sprout from Ipoh. Verdict: Decently good and taste for their white steamed chicken. Serving was fast and the price was reasonable too. The siew yoke really tempts me..
haha siew yoke still cannot beat the one from Pudu, but that is superbly expensive. just need to ensure what is show...is what it sell...but price are little exp..
You should try the soup. They are selling really nice soup with rich ingredients and the soup is thick. The ngar choi is also quite nice! Ahhh...it has been awhile since I go there. How much is the soup and I assumed it's those double boiled soup? Wow! The place really has great foods! I am so impressed with the simple yet very delicious-looking food in here. The place is very good, one of the best chicken rice, awesome bosses and nice chef. we go there regularly and they treat us with respect.